Seema, our hard working Team Balika, from Pali District in Rajasthan. Seema is a 16 year old girl from Pali, Rajasthan. She lost her father at the age of 11, a tragedy that people in her village blamed her for, saying she was cursed. Seema was miserable. To add to her despair, she was married off to an abusive alcoholic who was twice her age. Eventually, he threw her out onto the street. Seema’s situation, though heart-breaking, is not unique. 68% of girls in Rajasthan are married before the legal age of 18. These girls often drop out of school and begin to work in homes where they are susceptible to abuse, adolescent pregnancy and often have no decision making power. 9 out of 26 ‘gender gap’ districts in India are in Rajasthan, where 40% of girls drop out of school before they reach 5th grade. Seema was alone, living on the street when our Team Balika member, Sharda, found her. Our Team Balika are the champions of our cause with over 1500 volunteers working towards rejuvenating government schools and improving learning outcomes. 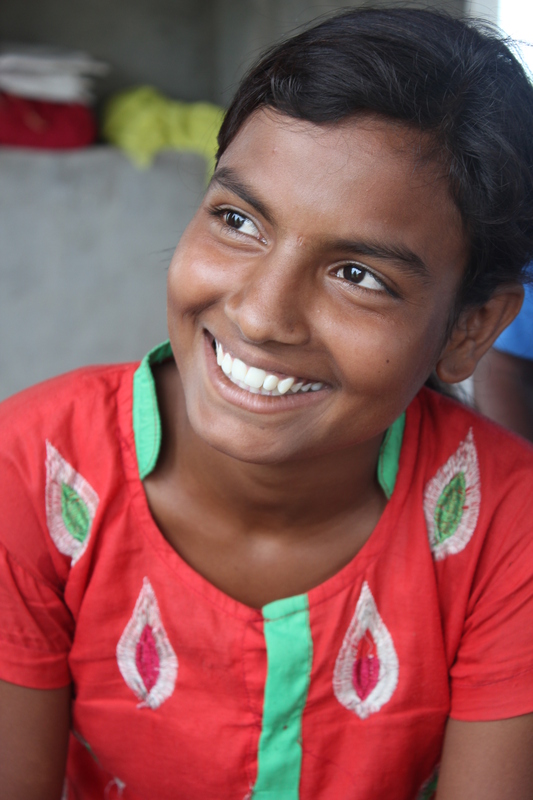 Sharda counseled Seema to help her learn to face her struggles with confidence. With Sharda’s help, Seema gained the courage to re-enroll in school, where, after studying for two years, she passed her 10th grade exams with flying colors. Today, Seema herself is a proud member of Team Balika. She works with Sharda to enroll out-of-school girls, support school teachers, and conduct life skills education sessions. Seema’s ability to overcome her situation is an inspiration. Our Team Balika members are crucial elements of the Educate Girls model. They go door to door to convince families to prioritize girls’ education. They mobilize communities to form School Management Committees, giving community members a platform to assess schools and influence the local education system. Furthermore, Team Balika helps to increase learning outcomes by working directly with teachers and headmasters to introduce creative learning techniques in classrooms. Their efforts on the ground are not only essential to our success as an organization, but create lasting impact on the lives of people in the communities they serve. Through the efforts of Team Balika, Educate Girls has enrolled over 59,000 girls. Our goal is to improve access and quality of education for around 4 million children living in underserved communities in India by 2018.